Bring the clarity, comfort and stable fit of Biofinity lenses to astigmatic patients with high refractive errors. Now, for the first time, even your astigmatic patients with high refractive errors can wear silicone hydrogel, monthly contact lenses with the proven CooperVision® Biofinity® design. Biofinity® XR toric lenses allow your practice to offer the reliable comfort, clarity and stable fit* of Biofinity toric lenses to more patients. Hydrogel lens wearers can now upgrade to silicone hydrogel, a healthier, more advanced lens material. eye health. Custom lens wearers can switch with confidence. Biofinity® lenses are known and respected for their consistent vision correction, optimized fit* and excellent value. “Spectacles only” wearers who haven’t been able to wear contacts, or have had challenges with other brands, can finally experience the proven comfort and clarity* of Biofinity® thanks to our XR toric range. Biofinity thanks to our XR toric range. 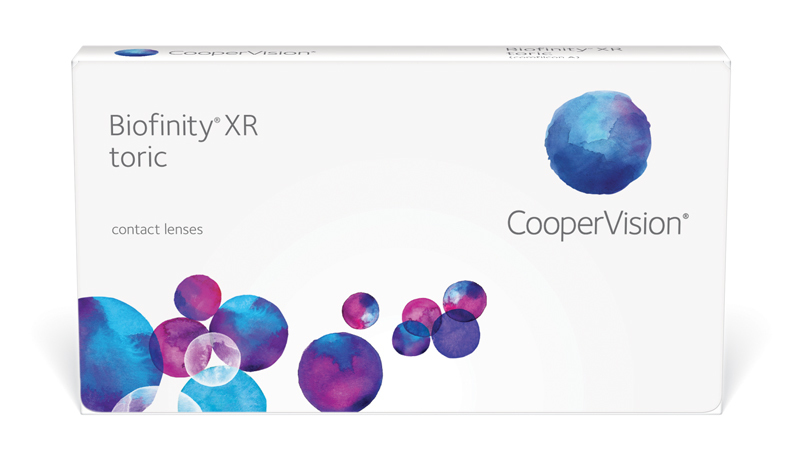 Contact your sales representative or a CooperVision authorized distributor to learn more about Biofinity® XR toric and the entire Biofinity® family.